In previous posts I utilized the experiences during the “John Wayne” phase of my life to construct a rodeo analogy to describe the whirlwind that is my life. Well, that descriptor is no longer adequate unless we expand on the rodeo theme to something similar to the story of Pecos Bill riding the tornado. The week began with a heavy hearted drive east along Route 66 to Peach Springs on Sunday morning. The pastor at the church there that has served as my mentor for a number of years is stepping down and moving into missionary work so the service was tinged with sadness even though it was a rather exuberant outpouring of appreciation from the community as well as from churches as far away as Gallup, New Mexico, and Peru. The afternoon was consumed with organization of the office and composition of a quasi press release soliciting information as well as assistance in regards to the current project, a Route 66 encyclopedia and atlas (a copy was attached to yesterdays post). Monday morning, a day off from the job that supports the writing habit, was spent sending this out to Route 66 related organizations, businesses, museums, and historic societies. 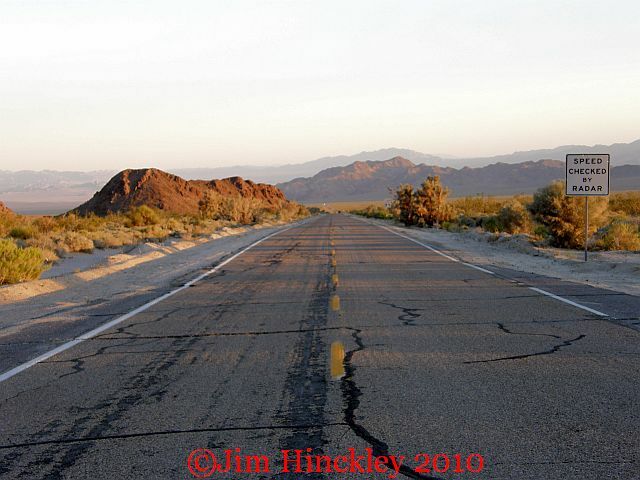 Ron Warnick picked up on this and posted it on his news site, one of the best clearing houses for Route 66 information on the web, Route 66 News. I was unaware of just how much this project was weighing on me until the responses began pouring in. Monday afternoon was devoted to writing and by 5:00, I had pushed the word count to almost 15,000 words. That interprets out to about 1% and I still have seventeen months to go! My dearest friend and patient partner spent several hours of the evening working with me as I evaluated photos on hand, post cards in the collection that were suitable for illustrations, and initial compilation of a list of sites that we would like to photograph. This left us with just enough time to spend a quiet hour with the Sopranos. Here are two that will have to find their way into the new book. 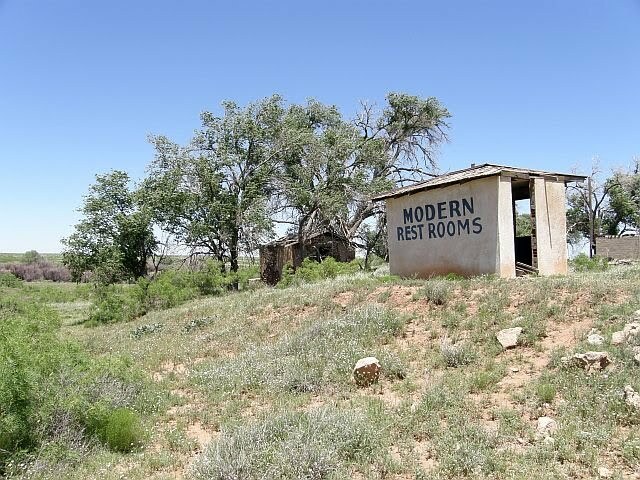 The photo of Endee with its modern restrooms has nice comedic overtones and the emptiness of the road in the California desert has a forlorn beauty that is difficult to describe. From the moment my key turned in the door at the office on Tuesday, I knew it was going to be one of those days. It was as though someone had kicked over an ant hill from beginning to end. Focus on a long anticipated evening kept me from doing something rash like screaming as I ran down the street naked or sitting in a mud puddle, farting, and laughing like a loon. Before I knew it the exhausting day was at an end, and it was off to Rednecks Southern Pit BBQ on Beale Street one block north of Route 66 in the historic district. This place rates very high on my list of overlooked treasures in Kingman. Excellent food, a very reasonable price, and simple atmosphere always ensure a delightful evening. Last night the dinner was merely the backdrop for a memorable evening shared with friends new and old. There was Dries Bessels, a friend from Holland and member of the Dutch Route 66 Association, Chris Durkin of the Kingman Downtown Merchants Association and the Kingman Route 66 Association with his lovely wife, Daylene, my son and his fiance, my dearest friend, and John Patt and his son from the Desert Diamond Distillery. As an added bonus we had a surprise guest, Hansen, the grandson of my pastor in Peach Springs. Have you ever seen a more motley crew? 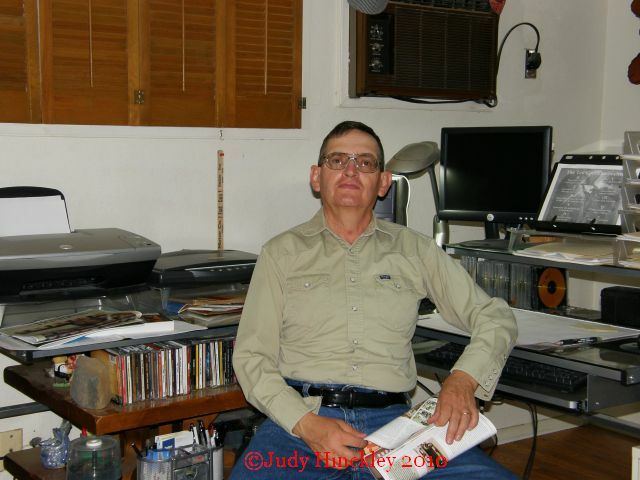 And now the rest of the week … The day job, writing at night, dinner with Dale Butel from Australia on Saturday afternoon, truck repair, a possible article for the Arizona Republic, and the mundane things of life that add seasoning and spice. Isn’t life grand!